Following last year’s successful refurbishment of the public spaces, this year’s hard work and great expense has seen the total transformation of the hotel accommodation as well as its fully-merited award of a fourth star, and we are delighted to be able to recommend the lovely Hotel Le Tremplin for the 2016 season. 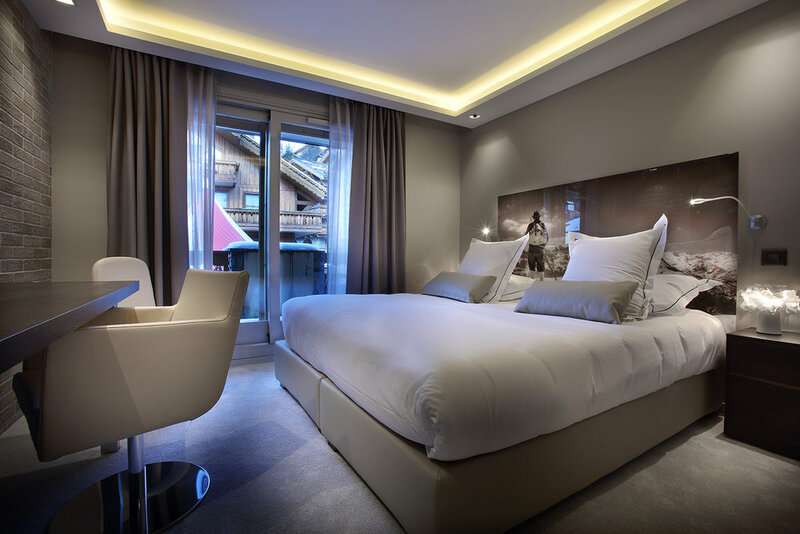 Occupying one of the most enviable locations in Méribel, a mere 50m from the pistes and lifts of the Chaudanne, this terrific hotel offers 40 rooms all decorated in a stylish and contemporary fashion and with views over the village or mountains. 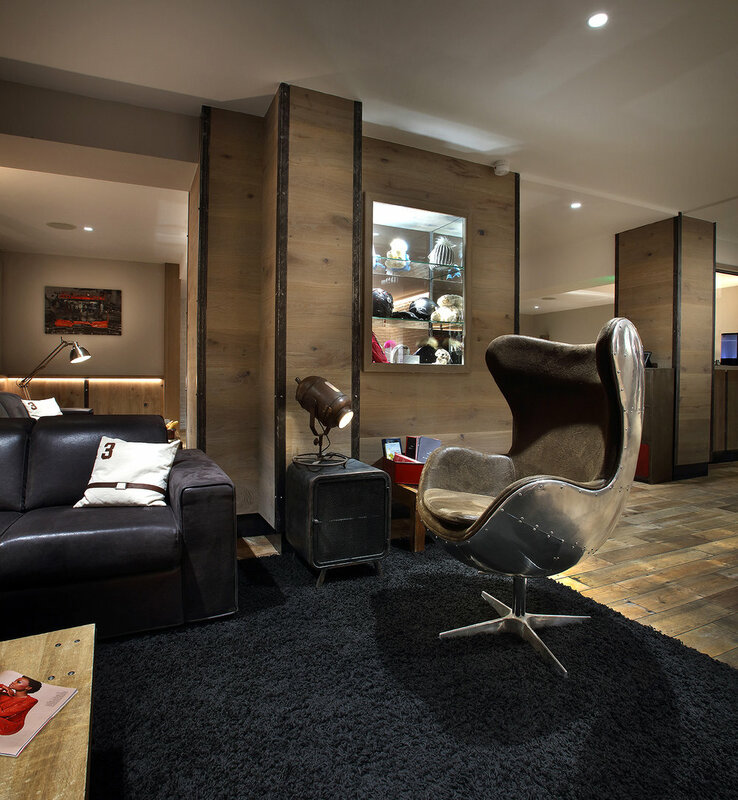 Downstairs is the smart guest lounge, where you can enjoy a hot chocolate after a hard day’s skiing, or a glass of wine before venturing out to enjoy Meribel's nightlife. For a bit more relaxation there is the new sauna, Jacuzzi and hammam steam room, while outside there is the famous (heated!!) outdoor swimming pool as well as a mini-sauna and hammam. The perfect spot - and envy of surrounding apartments! – to splash around in while the snowflakes drift down…. All accommodation is on a B&B basis, with a buffet breakfast served in the cosy dining room, which offers the perfect evening’s excuse to sample any of the excellent restaurants to be found a short stroll from the hotel front door. All in all, a beautifully-executed transformation of the hotel has resulted in an absolutely ideal place to base oneself for a memorable stay in Méribel. Why book your Méribel Hotel with Exceptional Ski?